But you did those things because you wanted love. You wanted to love and be loved in return. Your role in what happened came from a pure place. I’m a big believer in the idea that we’re all doing the best we can with where we are in our journey. You were doing the best you could at that point in your life. Forgive yourself for not knowing what you didn’t know. Forgive yourself for not seeing what you didn’t see. 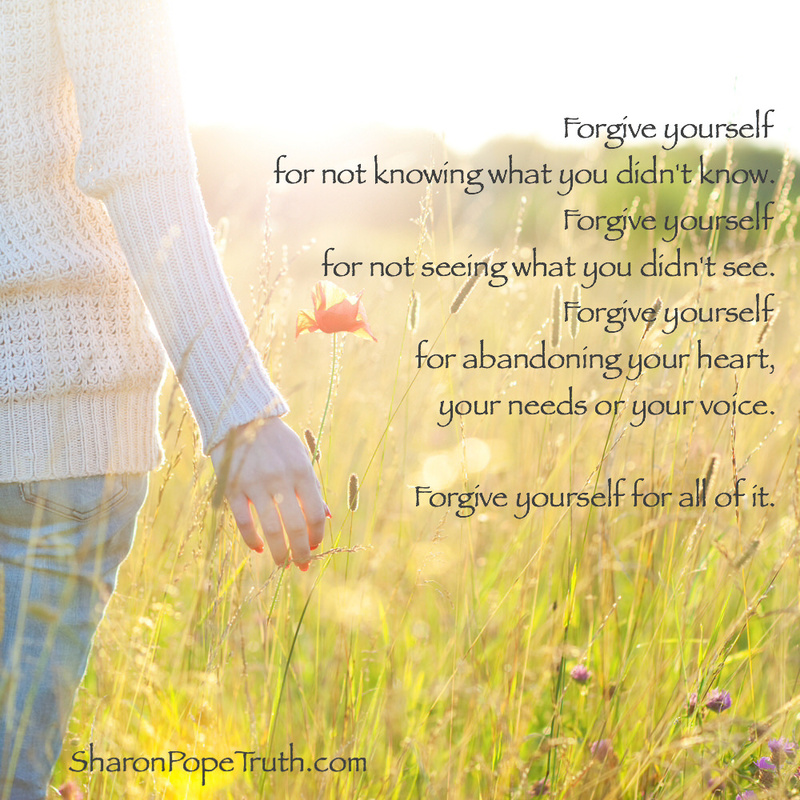 Forgive yourself for abandoning your heart, your needs or your voice. Forgive yourself for what you overlooked. Forgive yourself for not telling yourself the truth. Forgive yourself for not telling others the truth. Forgive yourself for thinking you could change someone. Forgive yourself for not asking questions because you didn’t want to hear the answers. 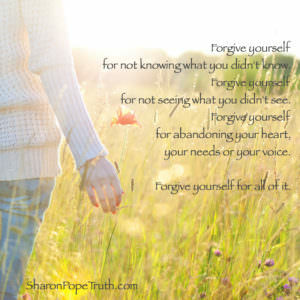 Forgive yourself for all of it. You’ll do something different next time. You can’t unlearn what you’ve learned. And once you know something, you can’t un-know it.